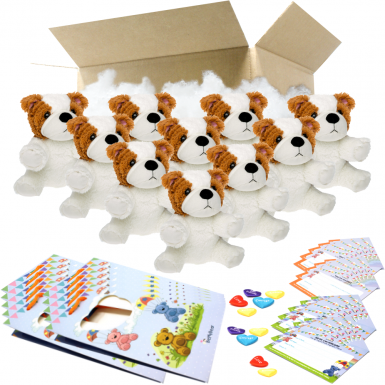 An amazing 8" party pack containing 10 Bulldog 8" Make Anywhere Bear Kits! 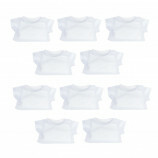 This party pack comes complete with everything needed to host a bear making birthday party for 10 children. Each pack comes complete with 10 bear / animal skins, 10 packs of stuffing, 10 heart charms, 10 birth certificates and 10 deluxe carry bags. This pack contains: 8" Bulldog (10).